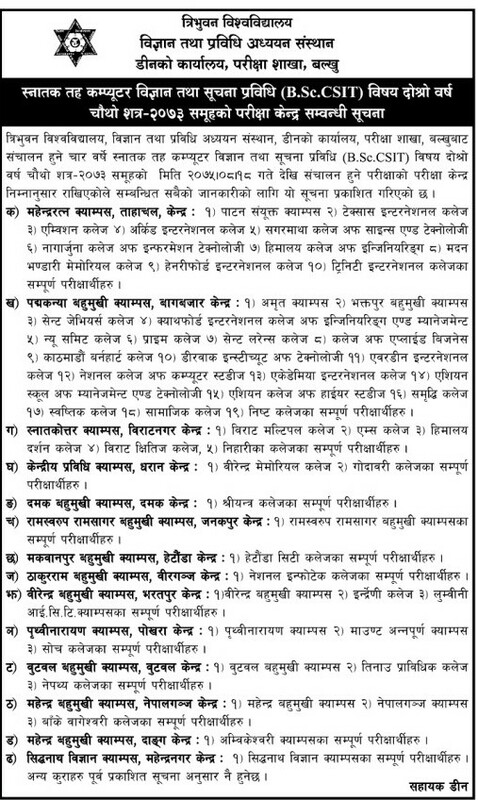 Tribhuvan University, Institute of Science and Technology, Dean Office, Exam Department, Balkhu has published the examination center of 4 Years B.Sc. CSIT Second Year Fourth Semester 2073 both regular and partial. The examination will start from Mangsir 18, 2075 (December 04, 2018).